A tooth abscess can be an extremely painful condition. It is formed when an infection forms in or around the tooth, causing the bone surrounding the tooth to dissolve. Oral bacteria invade the tooth, and when pus forms, it has no way out. This causes an often-excruciating throbbing pain that is most noticeable when direct pressure is applied. In some cases, a lump or swelling can be felt at the base of the tooth. Severe tooth decay is a common cause of abscessed teeth. As the decay drives more deeply into the structure of the tooth, the bacteria have more of an opportunity to access the inner chambers. Regular dental care and good dental hygiene can help you avoid this type of tooth abscess. Damaged teeth can also result in an abscess. Once the interior of the tooth is exposed, it can be susceptible to bacterial contamination. If your tooth has been broken or cracked, seeking prompt dental attention is essential to preventing tooth abscess or other painful complications due to damage and may help you ultimately save the tooth. In some cases, food particles that have accumulated around the base of the tooth or along the gumline may also cause an abscess. Good dental hygiene that includes regular brushing and daily flossing can help remove plaque and debris from your teeth. If you suspect you may have a tooth abscess, dental treatment is essential. The infection will need to be controlled, and the tooth will need to be cleaned and stabilized. 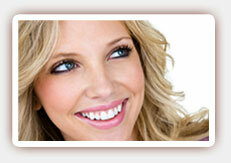 Contact Dr. Ghasri, dentist in West Hollywood, today to learn more or to schedule a consultation.